Recent airings by KBDI-TV Channel 12 in Denver C0lorado of important documentaries such as 911 Press For Truth, 911 Blueprint For Truth and America Freedom to Fascism has received substantial mainstream media attention, first, here in the Denver Post hit piece from August 21, 2009. KBDI To Air ‘9/11: Blueprint for Truth’: How You Can Help! 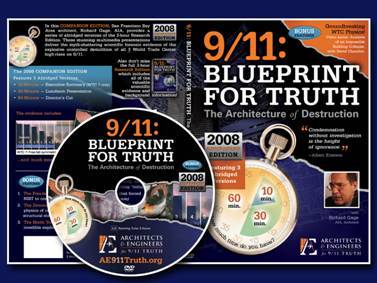 KBDI, Channel 12 will be featuring ‘9/11: Blueprint for Truth’ as a pledge drive fundraiser. Richard Gage, AIA, will be at the studio for on-air interviews during this historic broadcast. We are thrilled with this development! However, please do not call or email KBDI. The staff at KBDI thank you all for your calls and emails regarding the broadcasts of ‘9/11 Press For Truth’ and the upcoming broadcast of ‘9/11: Blueprint for Truth.’ As much as they would like to be able to personally respond to everyone, they cannot as the volume of grateful responses is overwhelming their small staff! 1) If you are outside the Colorado area, contact your local PBS station and deliver to them a copy of ‘9/11 Press for Truth,’ ‘Zero,’ and ‘9/11: Blueprint for Truth.’ Tell them of the great success KBDI Colorado Public Television has had with their pledge drive with ‘9/11 Press for Truth,’ and suggest they screen these films. Don’t forget, this is a relationship you are building with your local PBS station. We may soon have some guidelines for you–but you know what to do: dress nicely, be polite, build credibility, thank them, follow up after they’ve had time to view the films, be patient, etc. Look for an opportunity to volunteer for your local PBS station. 2) If you choose to support KBDI with a financial contribution when ‘9/11: Blueprint for Truth’ is screened on August 15, 2009, call or email and make a pledge. Colorado 9/11 Visibility will be at the phones and delighted to be overwhelmed by your calls! 70% of KBDI’s funding comes directly from the Colorado Community and mostly in the way of individual contributions — this is how they stay in business. 3) Donate anytime to KBDI! Still reeling from the success of the recent historic broadcast of 9-11 Press for Truth, the state of Colorado is about to get another strong dose of 9-11 truth. Making an appearance on Visibility 9-11 with Michael Wolsey, Executive Producer at KBDI Shari Bernson made the major announcement that KBDI will be again making history with the PBS world premier of Richard Gage's excellent documentary, 9-11 Blueprint for Truth on August 15, 2009 from 7:00 - 9:00 pm mountain time. KBDI first made history with the 9-11 movement when they aired 9-11 Press for Truth during one of their periodic fund drives in June of 2009. This endeavor was such a success that the entire three hour broadcast was repeated at least 6 more times! This was an amazing night for me personally, full of emotion from A-Z. It was great to finally meet Bob McIlvaine and Ray, and also good to see Kyle again. The crew at KBDI was amazing. They were tight....professional. There was a feeling in the air. Perhaps it was just me but I could feel that everyone involved knew they were making history. I was honored to be part of this event and thank all those involved in making it possible. It was amazing to me afterward how many people who I know saw this broadcast. I am still running into people who saw this and me (I was on the phones that night and occasionally the cameras would pan to us dedicated volunteers!) on one of the broadcasts. I look forward to the evening of August 15 at Five Points Media Center. Members of Colorado 9-11 Visibility will be on hand to answer phones and Richard Gage AIA will be in the studio for interviews during the fund raising breaks. Please let KBDI hear from you. Let them know how much you appreciate their courage in airing 9-11 documentaries and you want to see more! If it is within your budget, let KBDI know with a donation on August 15, 7:00 - 9:00 pm mountain time. It looks like starting tonight KBDI is playing both 9/11: Press For Truth and America: Freedom to Fascism to their Colorado Audience. Feel free to let your friends and family know about this opportunity for viewing in the Denver Area. KBDI to Repeat '9/11: Press for Truth' and 'America: Freedom to Fascism' During July! Due to the huge success of the national premier of 9/11 Press for Truth on June 3, 2009, KBDI has announced that it's July schedule will include several repeat showings of the film. Colorado 9-11 Visibility is thrilled about the bold steps that KBDI are taking and wish to congratulate them on the success of this important historic premier. We wish to thank everyone at KBDI, all the wonderful people who pledged their financial support in support of this film, and all the volunteers with Colorado 9-11 Visibility who have, over the years, helped pave the way for this kind of support for a film which would call into question the official version of events on September 11th. It is also worth noting that along with the re-airing of 9-11 Press for Truth, KBDI will also be conducting repeat showings of America; From Freedom to Fascism! Please spread this news around to people you know in Colorado and let's continue to call and write KBDI to pay them many well deserved accolades! Comment on KBDI Viewer Buzz and let the world know how much you appreciate KBDI. DENVER – (June 4, 2009) – KBDI has always been at the forefront of controversial programming and last night was no exception. As the first broadcast station in the United States to air the controversial documentary 9/11Press for Truth, which claims a 9/11 cover-up, KBDI showed that it is not afraid to touch on sensitive subjects. DENVER – (May 26, 2009) – 9/11 Press for Truth, an independent documentary that claims a 9/11 cover-up, has been shown in theatres and broadcast overseas, but it hasn’t been aired on a U.S. broadcast station. That will change next week when KBDI-Channel 12 premiers the controversial documentary Wednesday, June 3 at 7 p.m.
During Channel 12’s premiere, Bob McIlvaine, who lost his son Bobby at the World Trade Center, and 9/11Press for Truth producer Kyle Hence will join KBDI-Channel 12’s Shari Bernson in KBDI’s studio. I am very happy to announce that for the first time in our movements history, 9-11 Press for Truth will be shown on a mainstream media television station. KBDI Channel 12 in Denver Colorado has just confirmed that they will be showing this groundbreaking film during their upcoming pledge drive on June 3, 2009. As has been the case in the recent past, Colorado 9-11 Visibility will be there manning the phone banks and expect to get some prime time during this showing to make our plea for a new investigation into the crimes of September 11th, 2001. As many of you may know, this is not the first time that Colorado 9-11 Visibility has made an appearance on KBDI. Our most recent appearance was in March of this year during the showing of America, Freedom to Fascism. 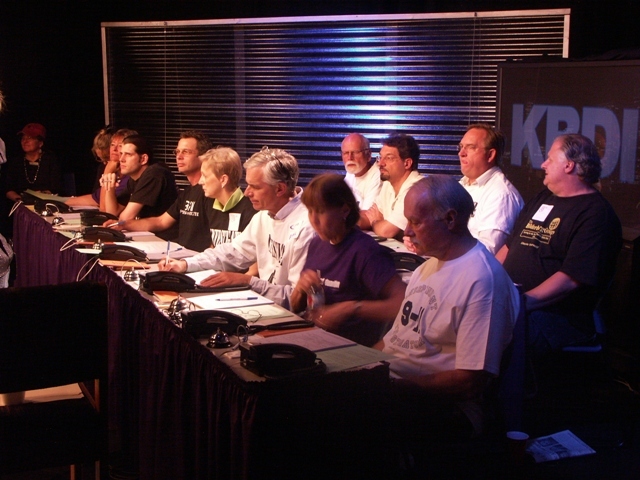 Our time at KBDI actually goes back a couple of years when one of our members, Michael Anderson approached the station about our group volunteering to man the phones during their pledge drive. As a perk for the volunteering organization, KBDI gives the opportunity to promote the group on-air during their time on the phone banks and promote we did! We do not know the whole story on what kind of effect we had, but during this initial appearance on KBDI, we handed out DVD's and other 9-11 related literature to the staff at the station. To me, they were friendly enough, but I felt their reception of us was lukewarm at best. What a nice surprise to us when we were invited back again and again for all subsequent pledge drives since and given and increasingly warmer reception. And now this! We are ecstatic over this as it is the result of years of determined work by our group of very dedicated activists here in Colorado. 9-11 Truth on PBS - Colorado 9-11 Visibility on KBDI Channel 12 in Denver...Again! On March 5th 2009 the local PBS station, KBDI, in Denver Colorado broadcast the groundbreaking expose, America: Freedom To Fascism to raise funds for the station. They invited volunteers from Colorado 911 Visibility to run the phone bank. In this clip Earl Staelin is interviewed about the points of that day in September that we still don't have answers for. To support KBDI please consider making a pledge so they can continue broadcasting the message to truth to the American people. IF YOU CANNOT make a pledge please call them and thank them for their support of our message. Also see http://www.911blogger.com/node/12021 for two of our past appearances on KBDI.